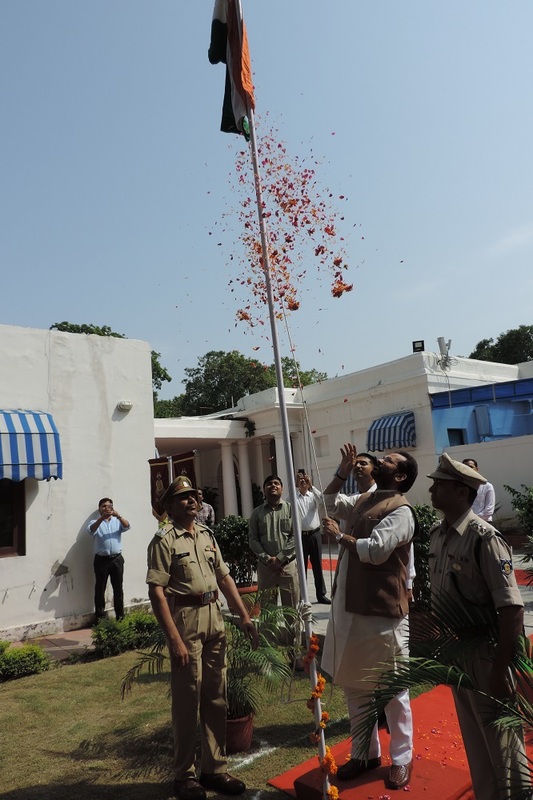 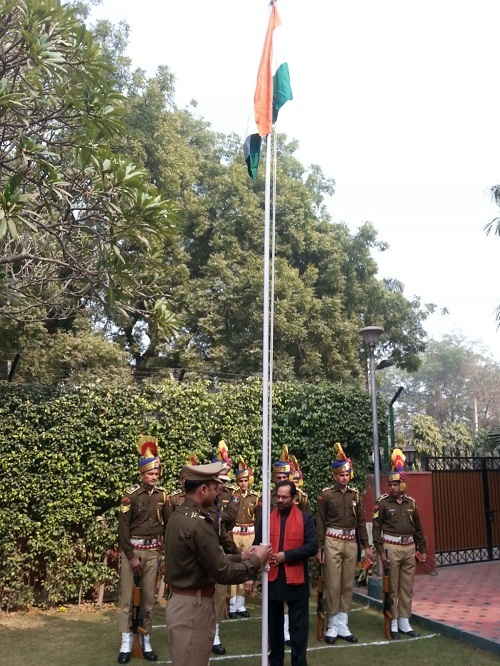 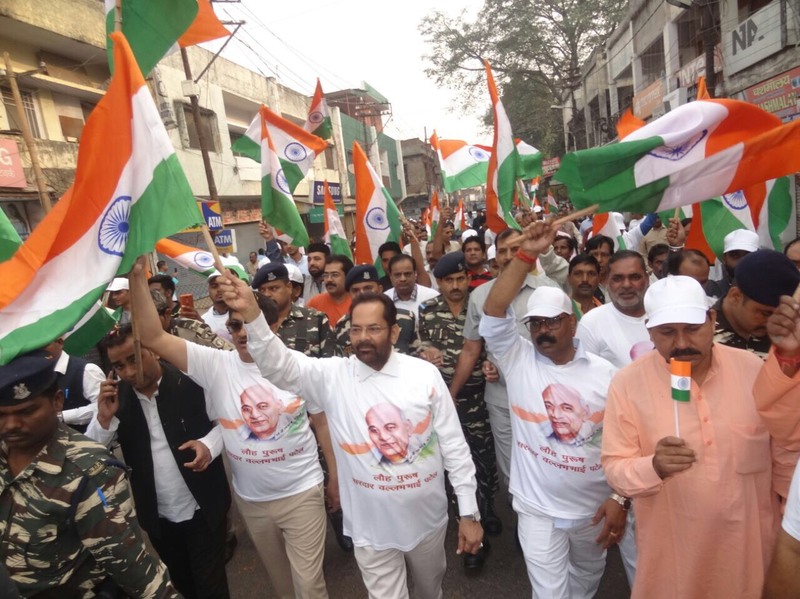 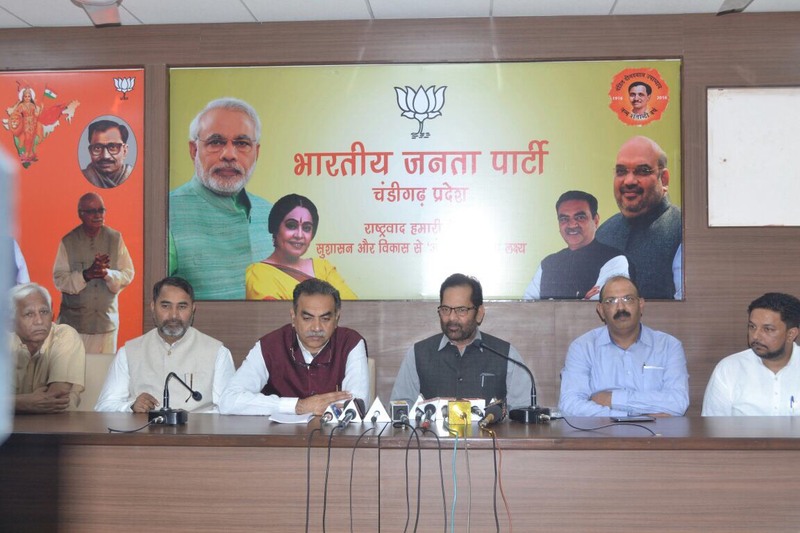 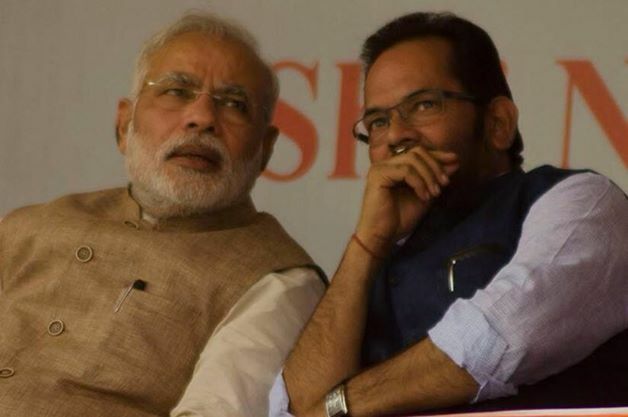 Union Minister for Minority Affairs Shri Mukhtar Abbas Naqvi today said here that despite of being victim of political intolerance, Prime Minister Shri Narendra Modi has taken the country forward on the path of “Inclusive Growth”. 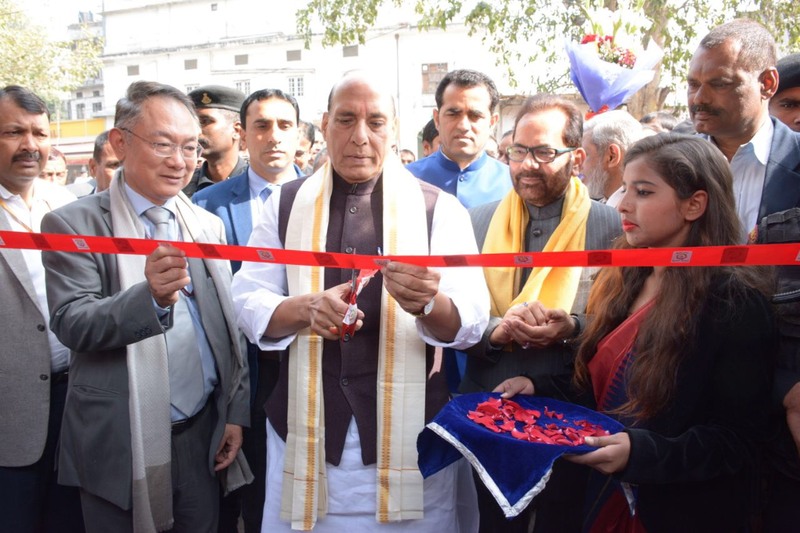 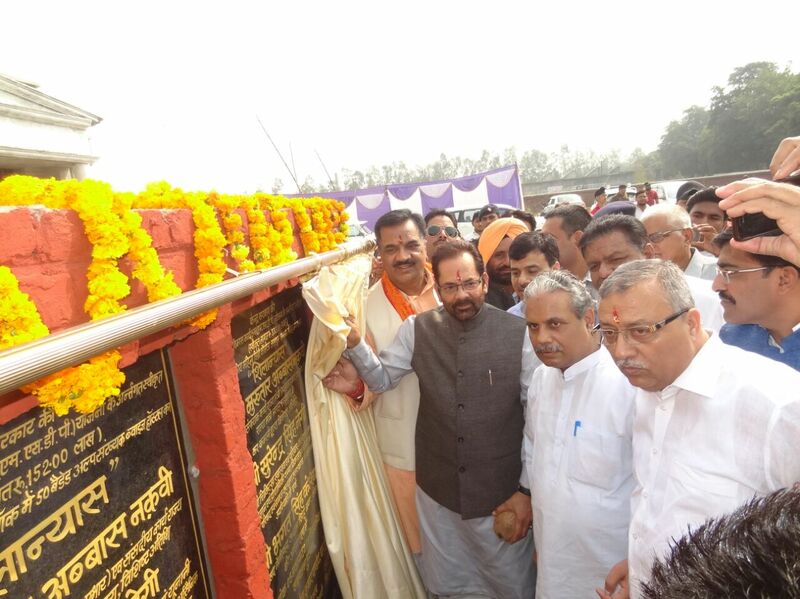 While laying foundation stone of first world class educational institute being established with the assistance of Minority Affairs Ministry, Govt. 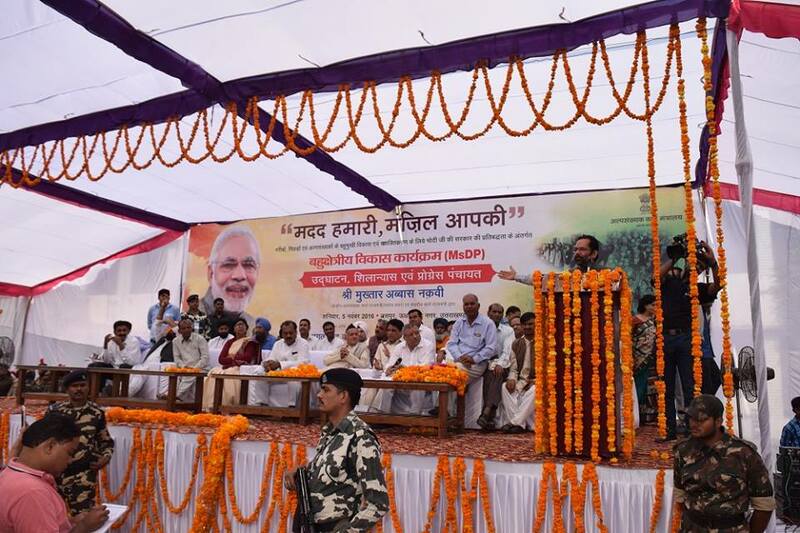 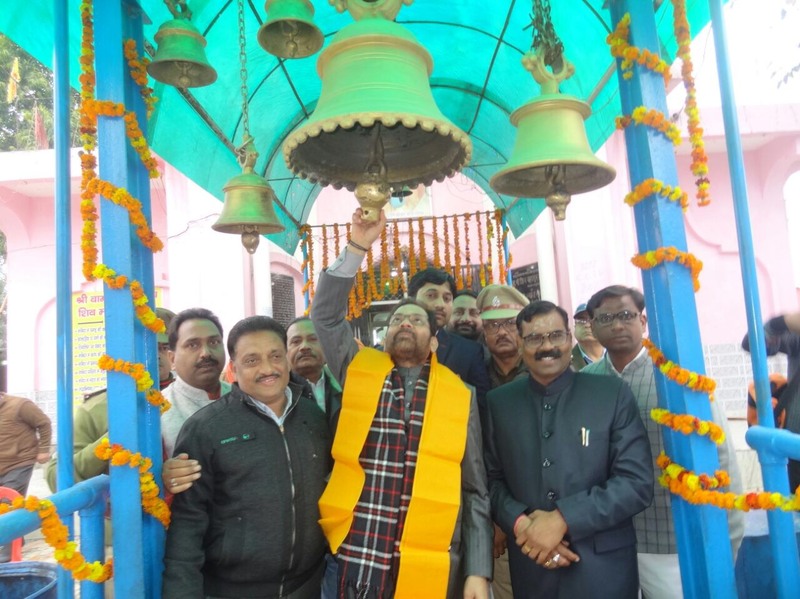 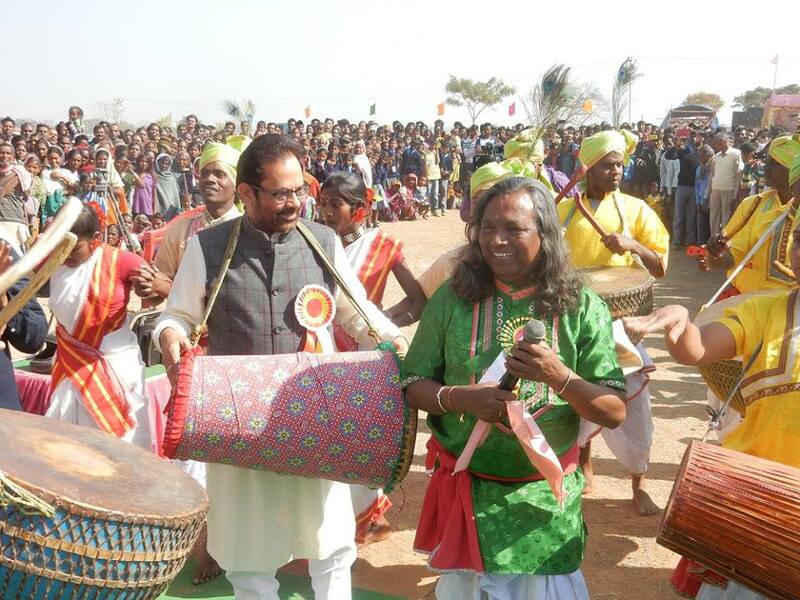 of India, at Kohrapipli village in Kishangarh Bas of Alwar district in Rajasthan, Shri Naqvi said that Prime Minister Shri Narendra Modi has worked with commitment to “Inclusive Growth” without any discrimination and he did not allow “vote bank politics” to dominate our “Determination for Development”. 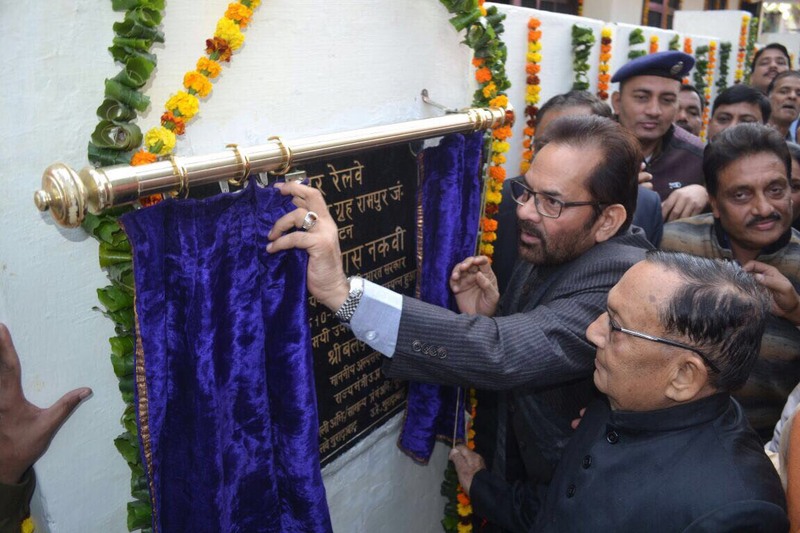 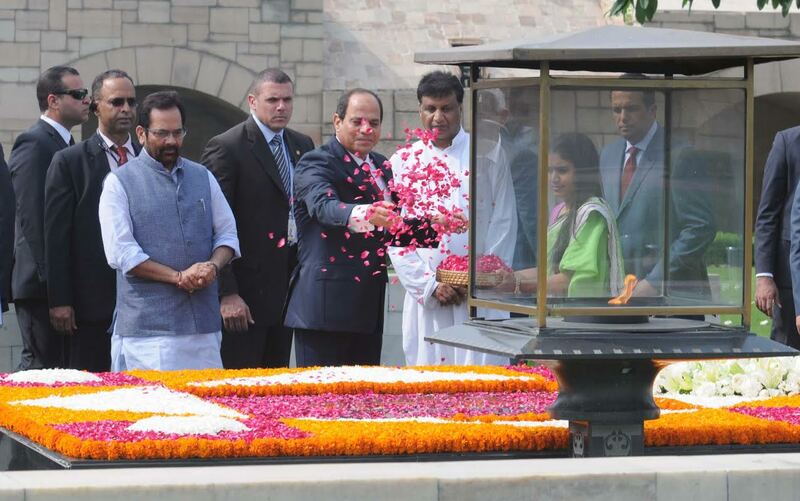 Shri Naqvi also laid foundation stone/inaugurated various other development works. 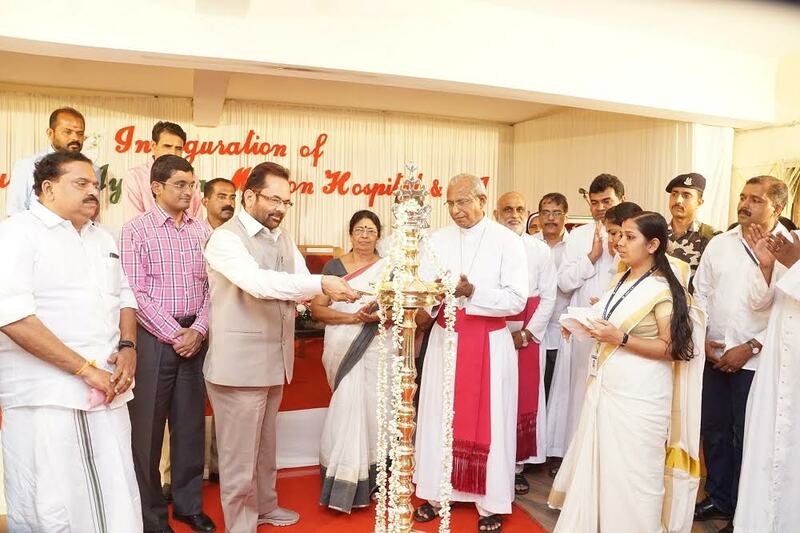 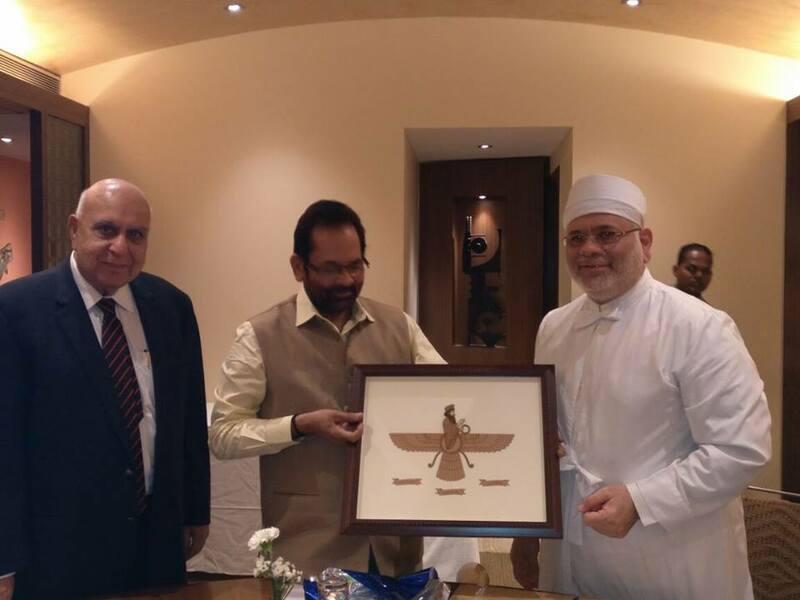 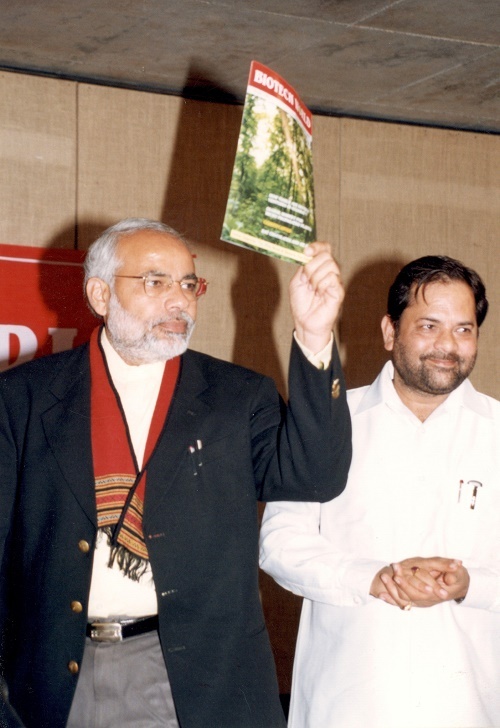 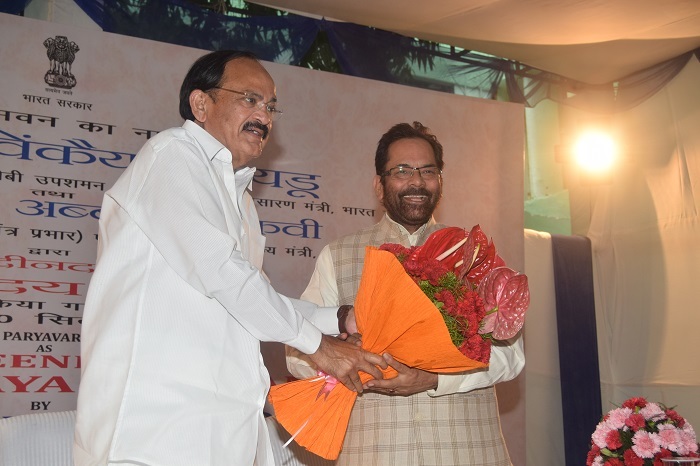 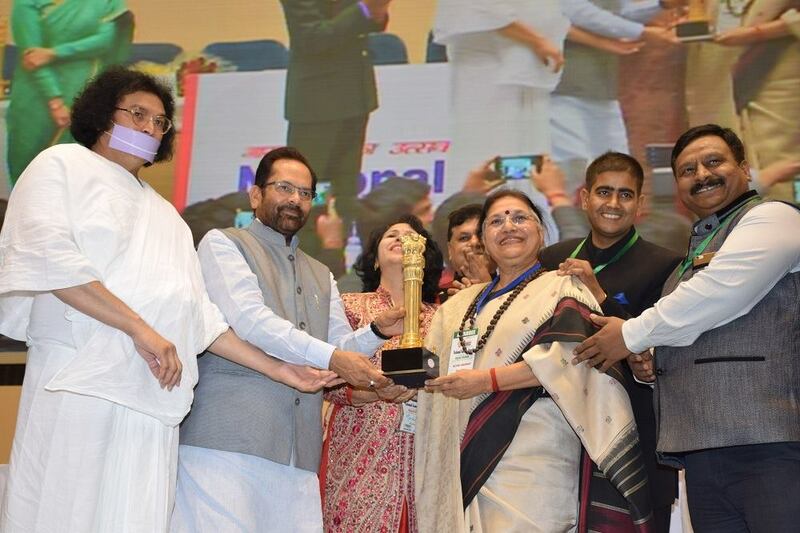 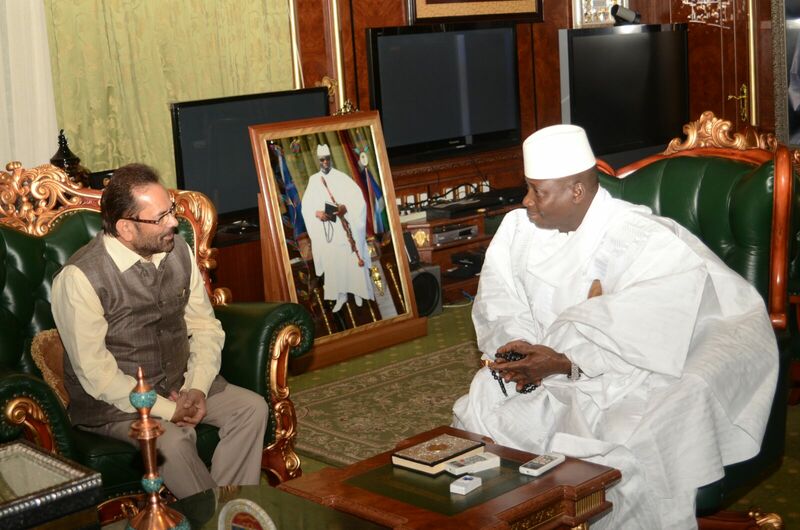 Shri Naqvi said that it was a tough challenge to kill the “termites of corruption” and remove the “stains of failures”, received as “legacy” from the earlier regime at the Centre. 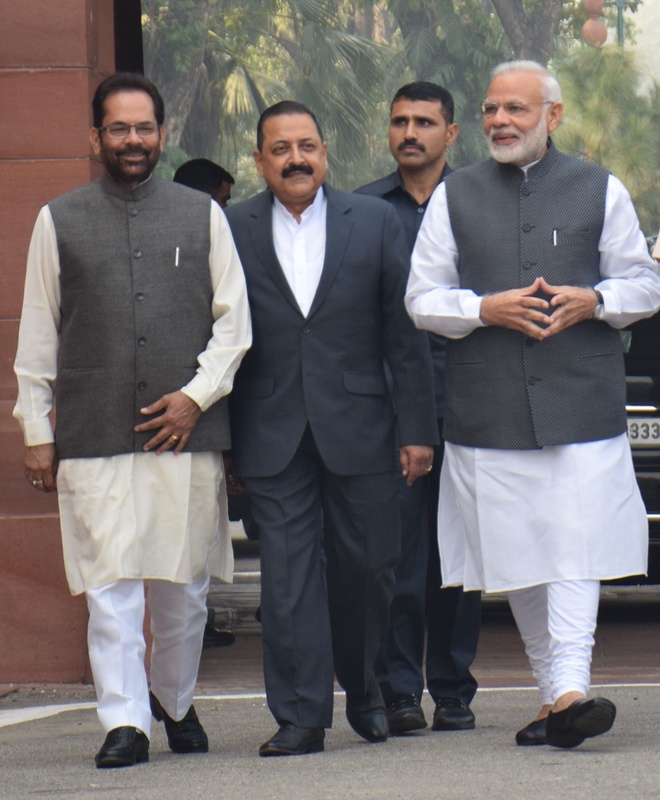 But Prime Minister Shri Narendra Modi has been successful in fulfilling his commitment to development of all sections. 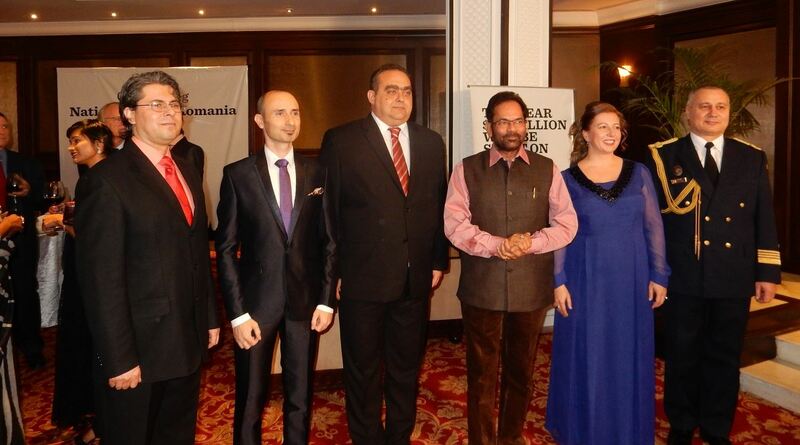 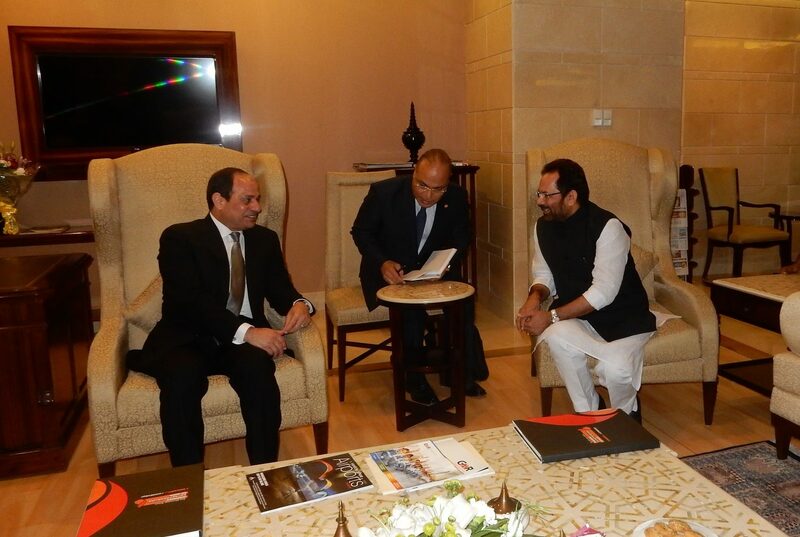 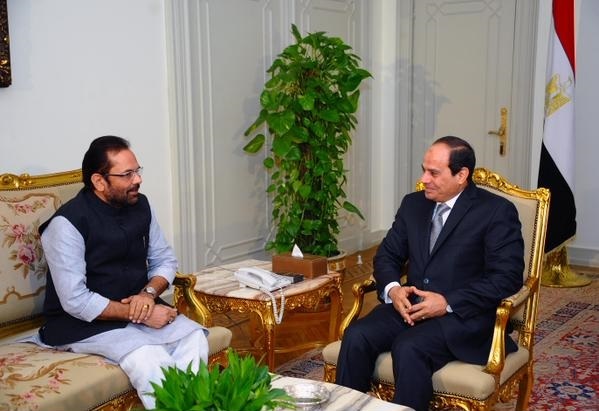 Shri Naqvi said that the Central Government led by Prime Minister Shri Narendra Modi has worked on war-footing to ensure affordable, accessible and quality education to all the needy, poor including Minorities. 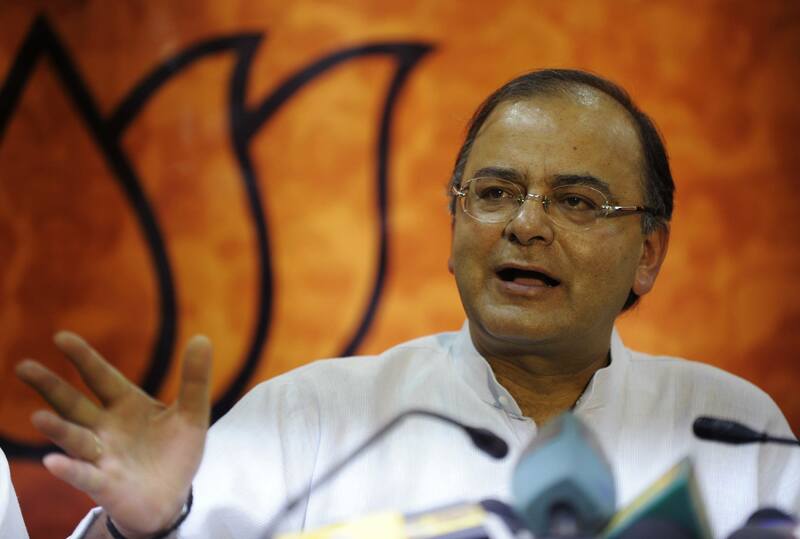 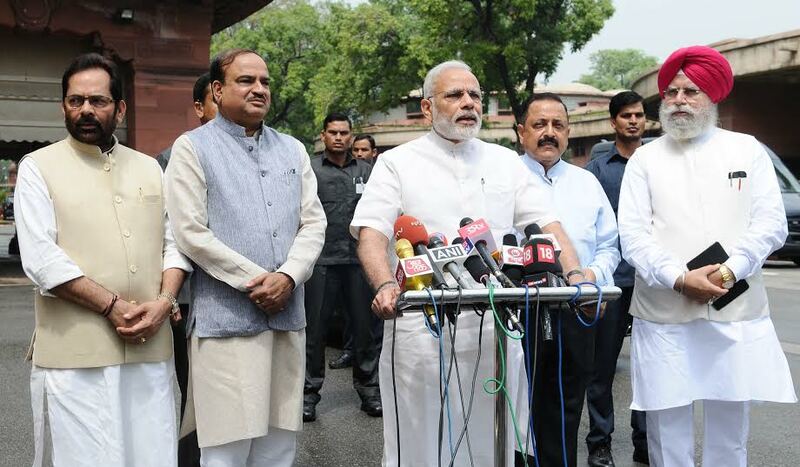 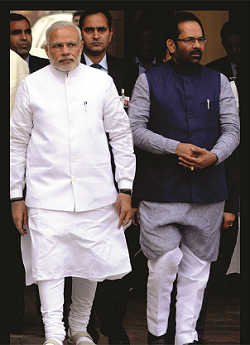 Prime Minister Shri Narendra Modi’s efforts are crystal clear on the ground level. 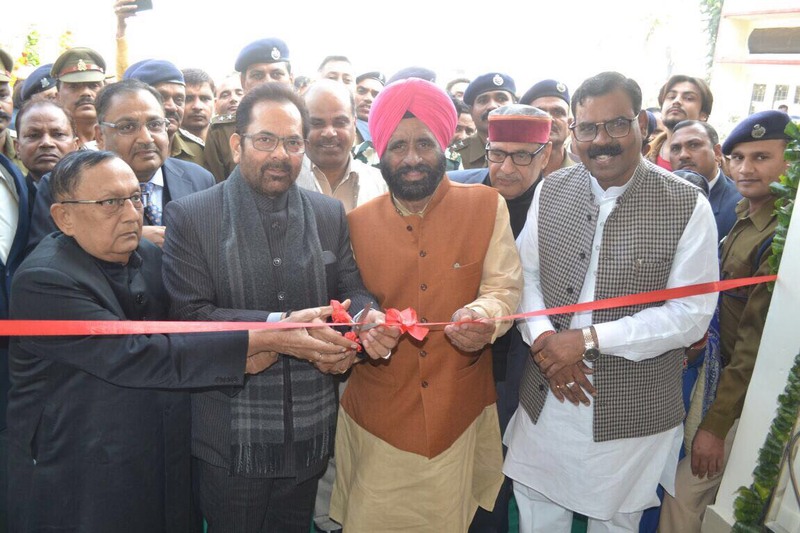 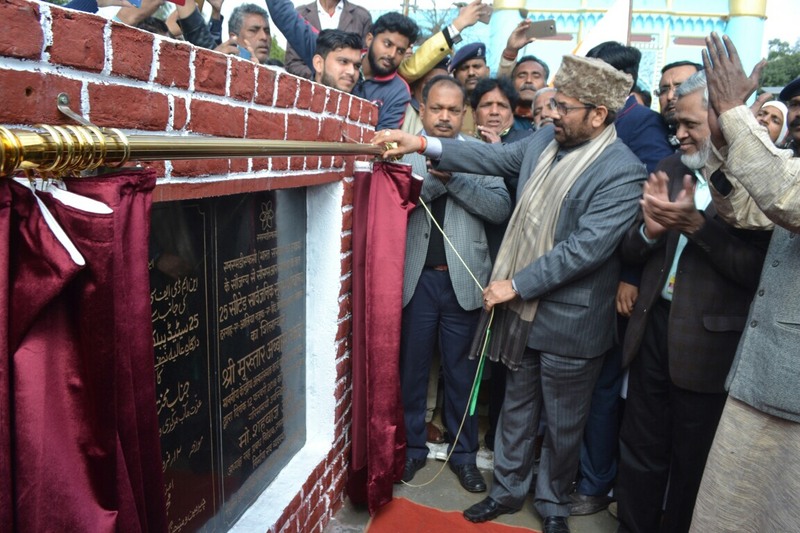 Shri Naqvi said that the first world class educational institute in Alwar will proved to be a milestone in the direction of affordable, accessible and quality education to poor, weaker sections including Minorities. 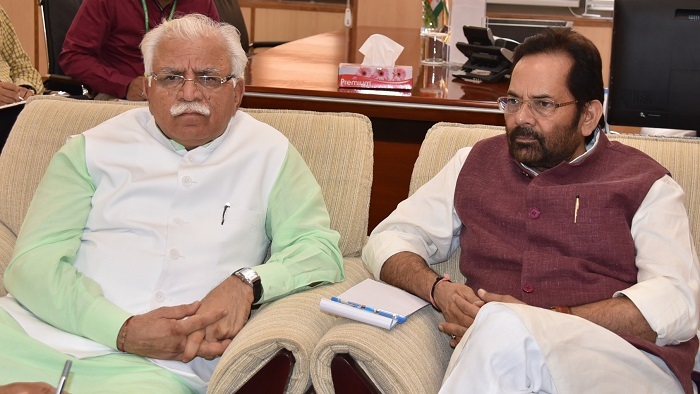 This educational institution will start functioning in 2020. 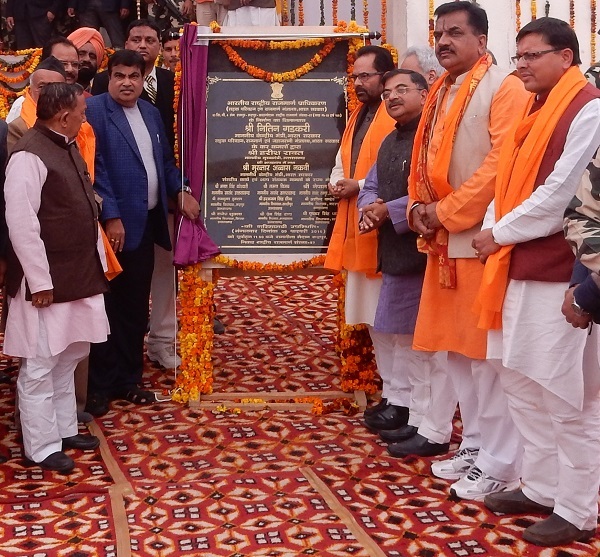 The Rajasthan Government has given 15 acres of land in Kohrapipali village in Kishangarh Bas tehsil of Alwar district for this educational institute. 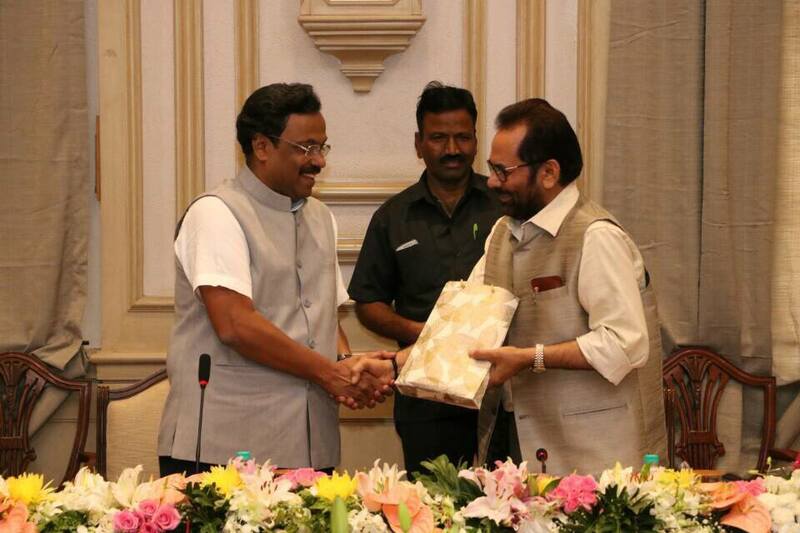 World class skill development centre, educational facilities for primary to higher studies, Ayurveda and Unani science and sports facilities will be established here. 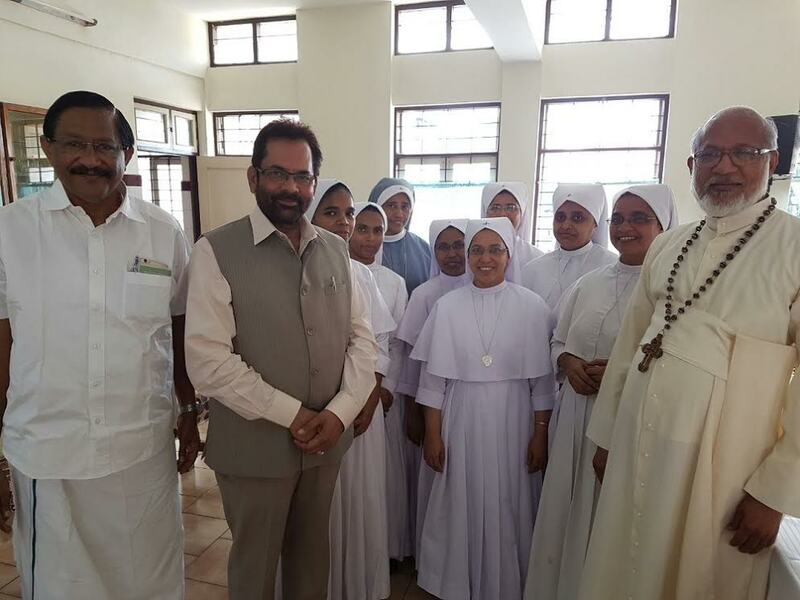 We have proposed 40 per cent reservation for girls in this institution. 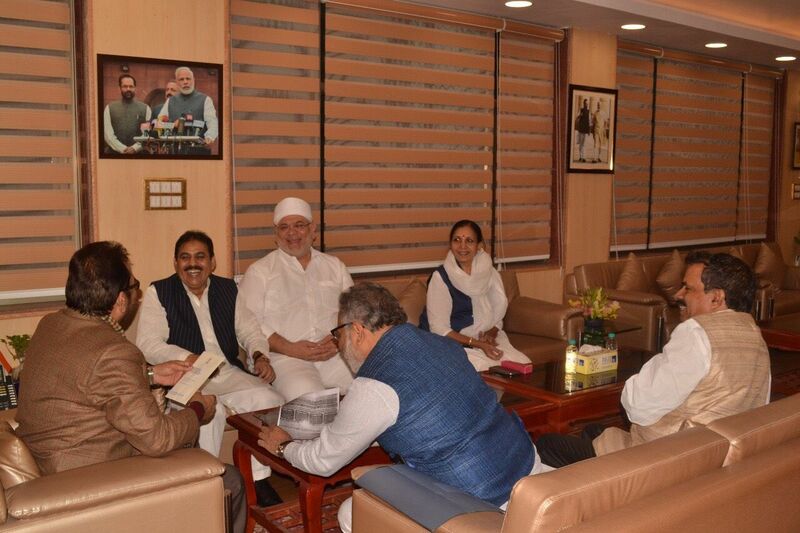 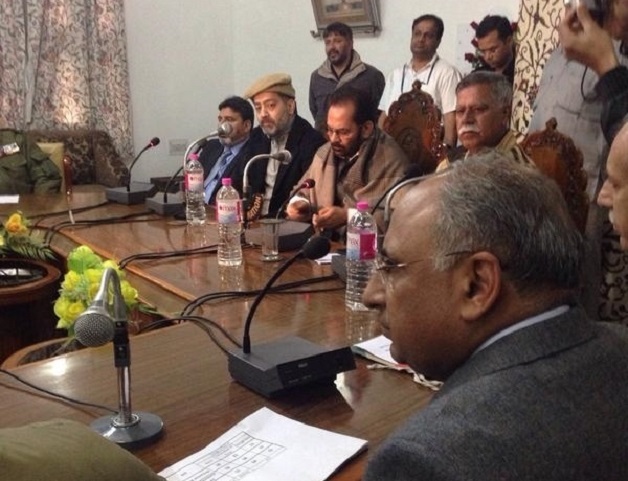 A 3-member committee of Minority Affairs Ministry’s officials and members of the Maulana Azad Education Foundation has been constituted to chalk out the entire process of this institute at Alwar. 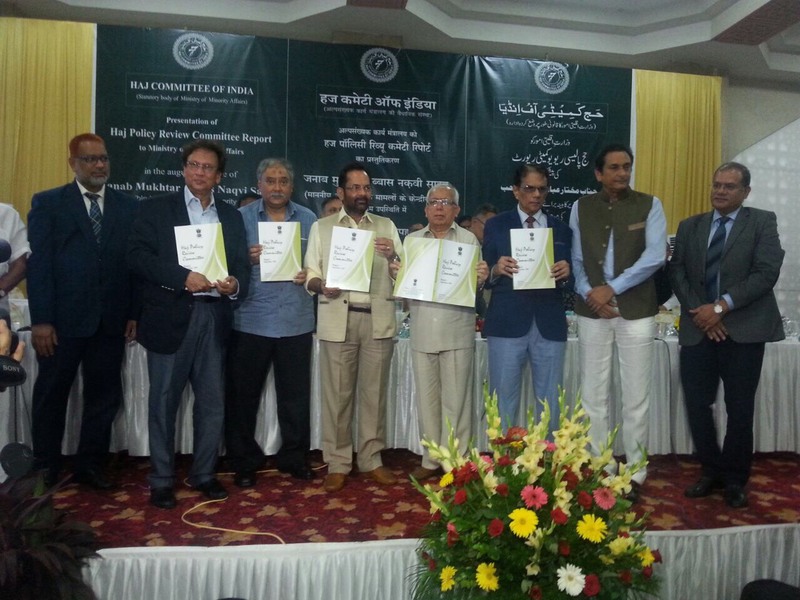 Soon, the detailed project report (DPR) will be prepared regarding construction and other process for the institute. 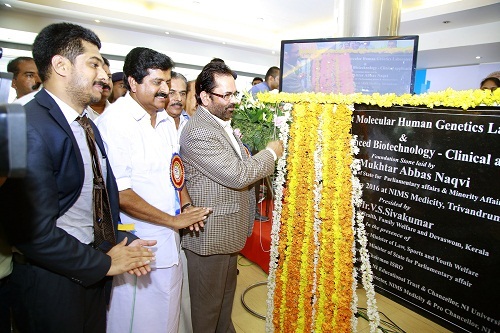 The institute will be established through Public Private Partnership (PPP) model. 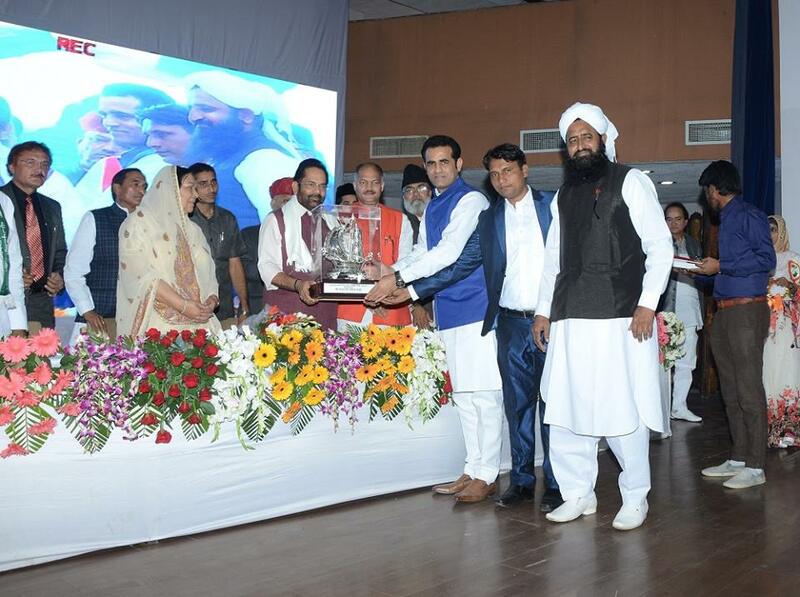 Shri Naqvi said that during the last about 4 years, the Modi Government’s “Empowerment without Appeasement” policy has ensured that record about 3 crore students belonging to poor and weaker sections of Minorities have been benefitted from various scholarship programmes. 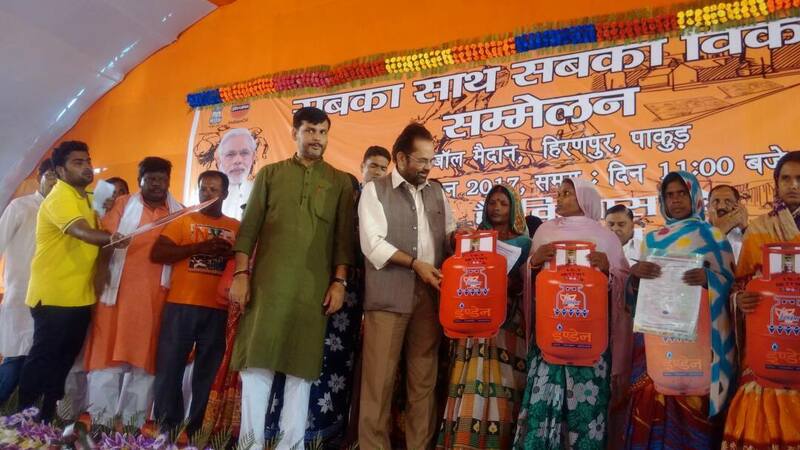 The beneficiaries include about 1 crore 63 lakh girls. 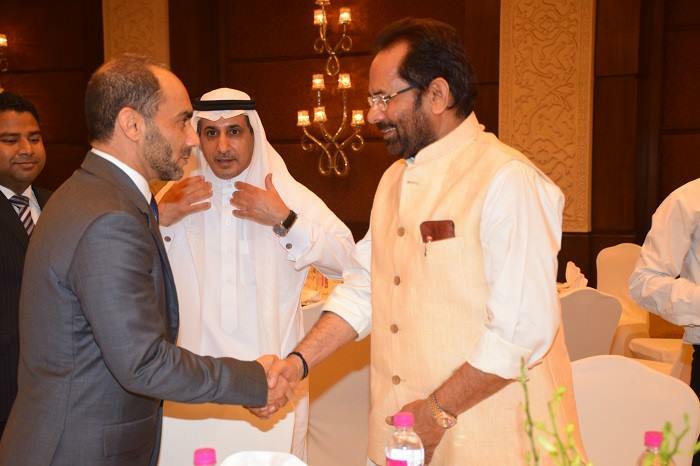 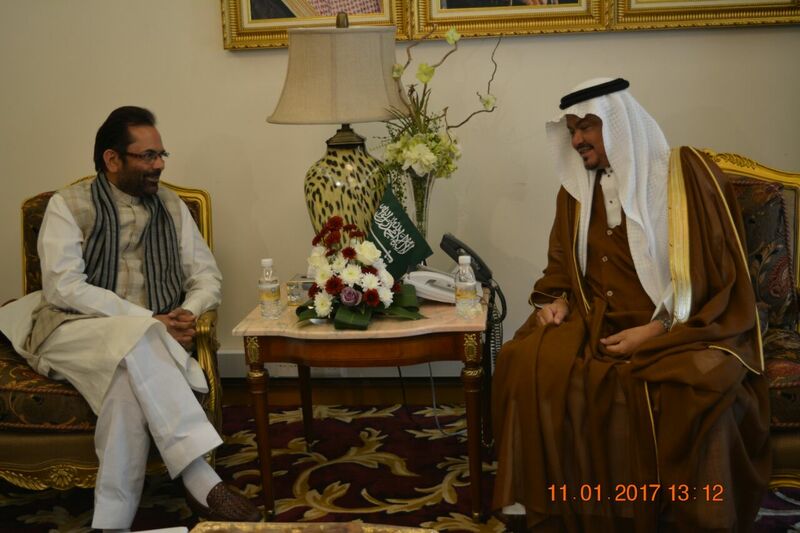 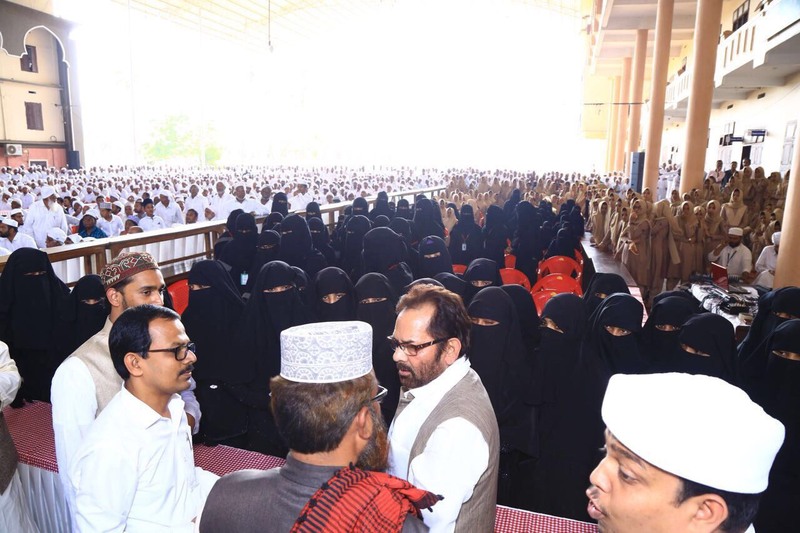 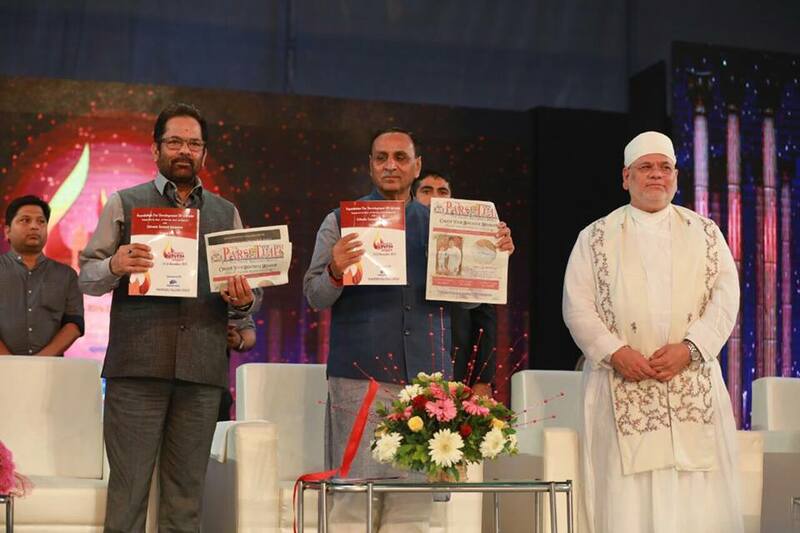 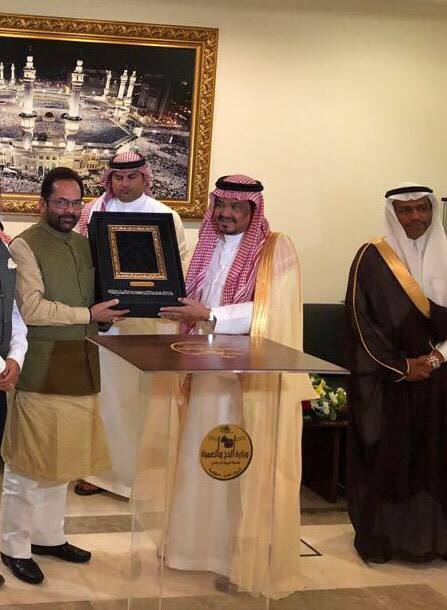 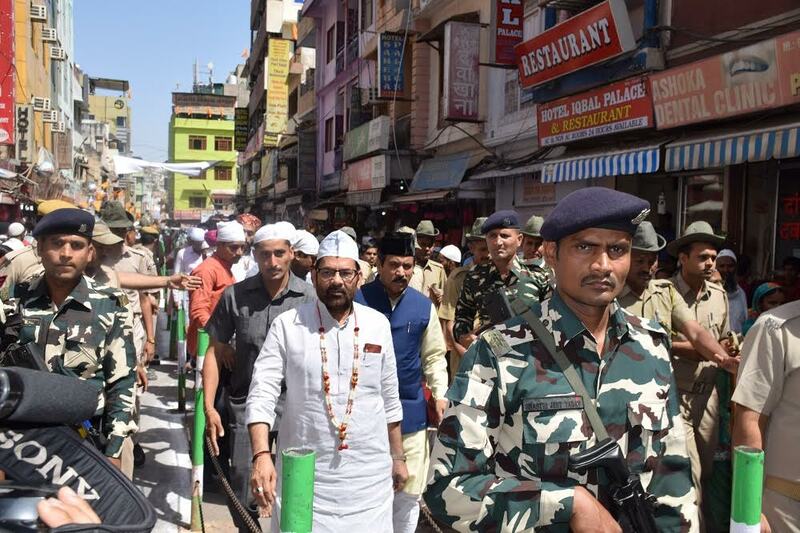 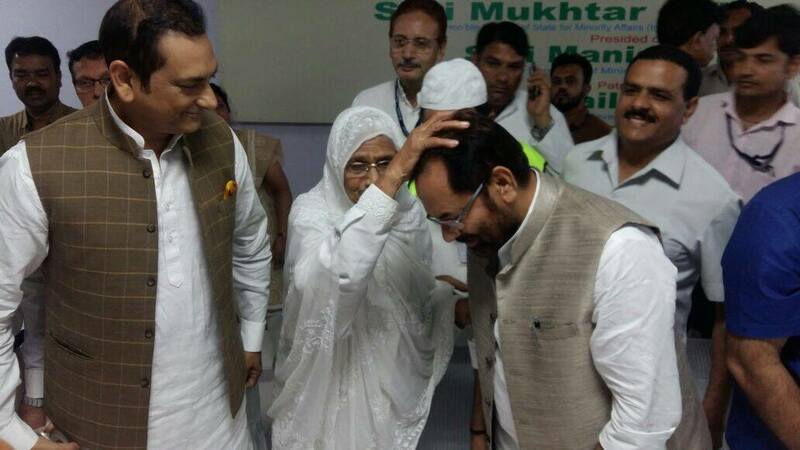 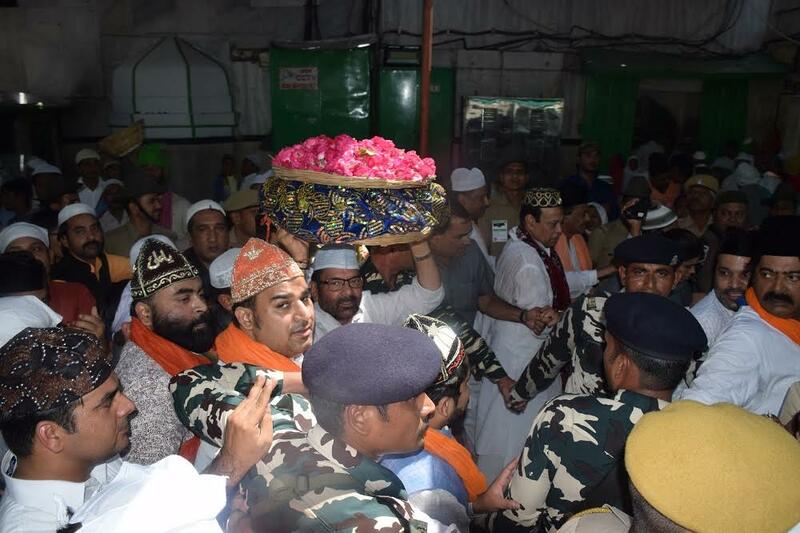 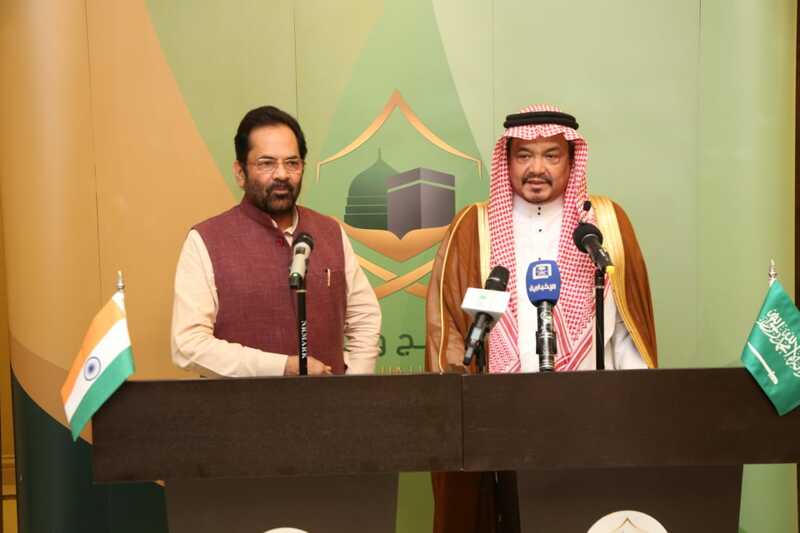 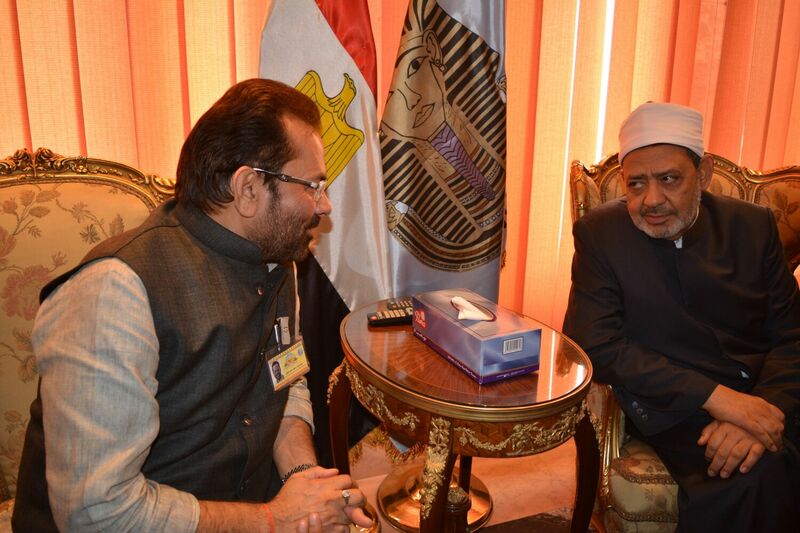 Shri Naqvi said that school dropout rate among Muslim girls, which was earlier more than 70 per cent, has now been reduced to about 35-40 per cent due to awareness and educational empowerment programmes of the Modi Government. 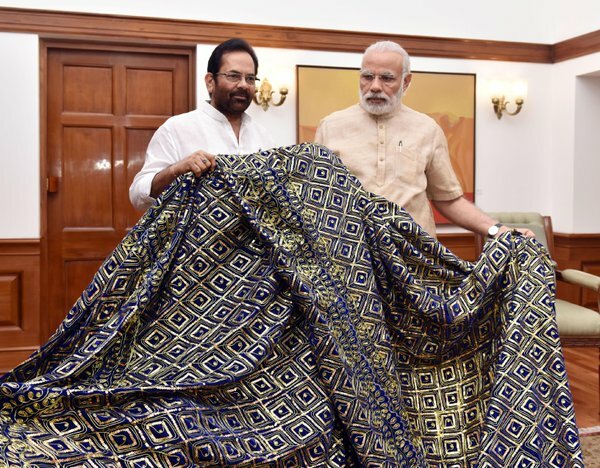 Our goal is to bring it down to zero per cent. 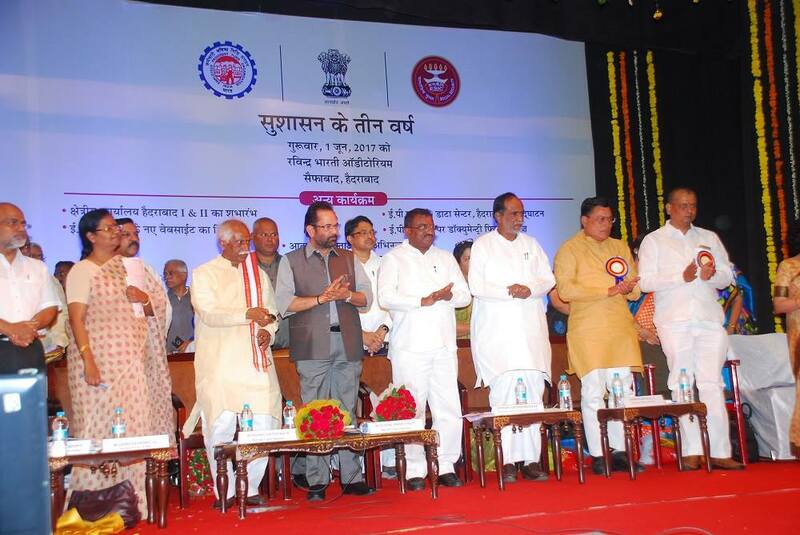 Transparent and hassle-free scholarship system has played a key role in this regard. 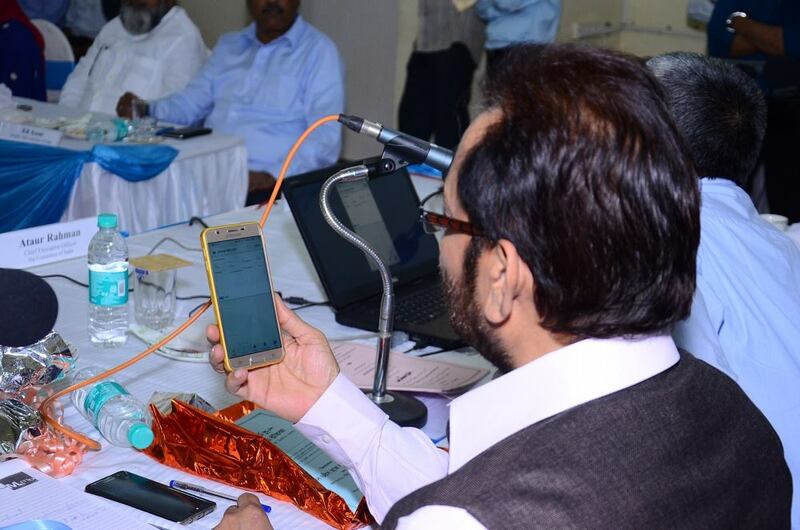 This year, "National Scholarship Portal Mobile App" (NSP Mobile App) has been launched which will ensure a smooth, accessible and hassle-free scholarship system for students from poor and weaker sections. 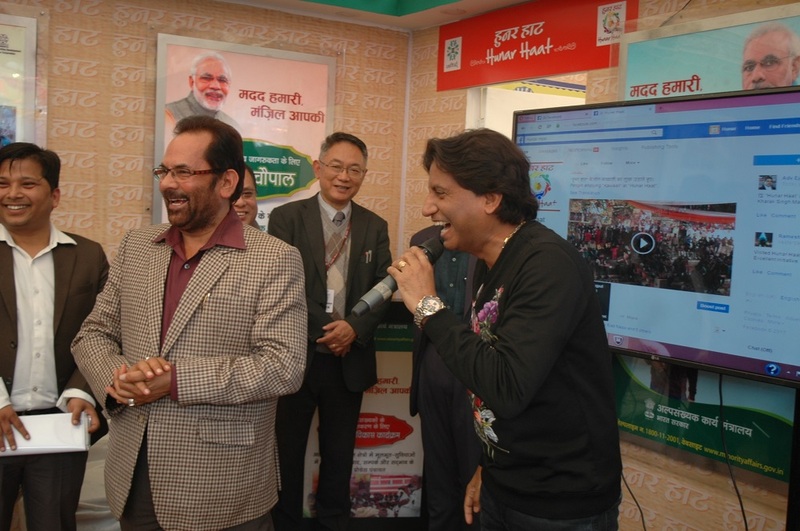 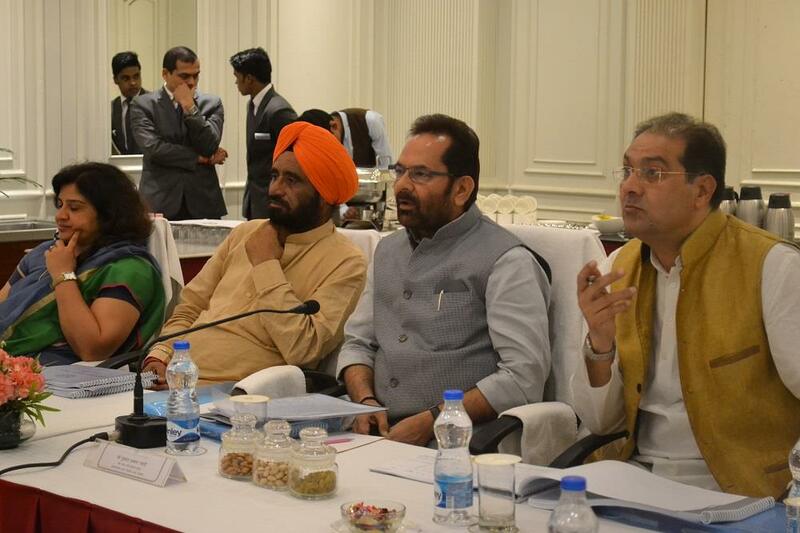 Shri Naqvi said that Ministry of Minority Affairs has worked with commitment to “3E- Education, Employment & Empowerment”. 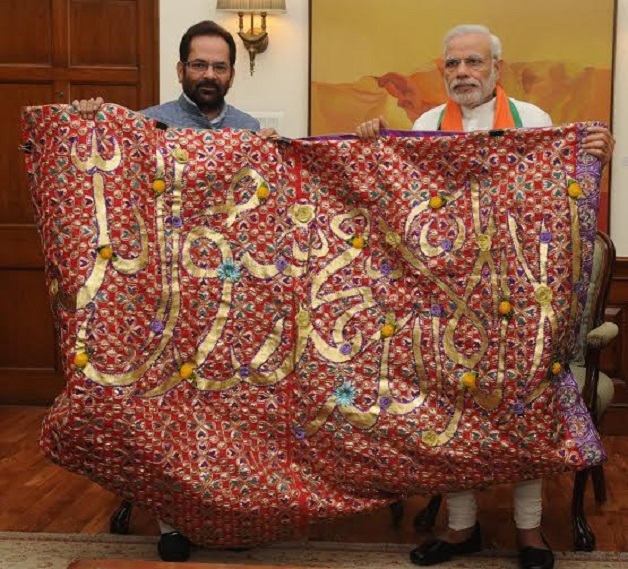 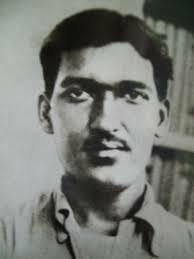 In the last about one year, thousands of educational institutions of all Minority communities including Madarsas, have been included in the mainstream education system by connecting them with "3T-Teacher, Tiffin, Toilet". 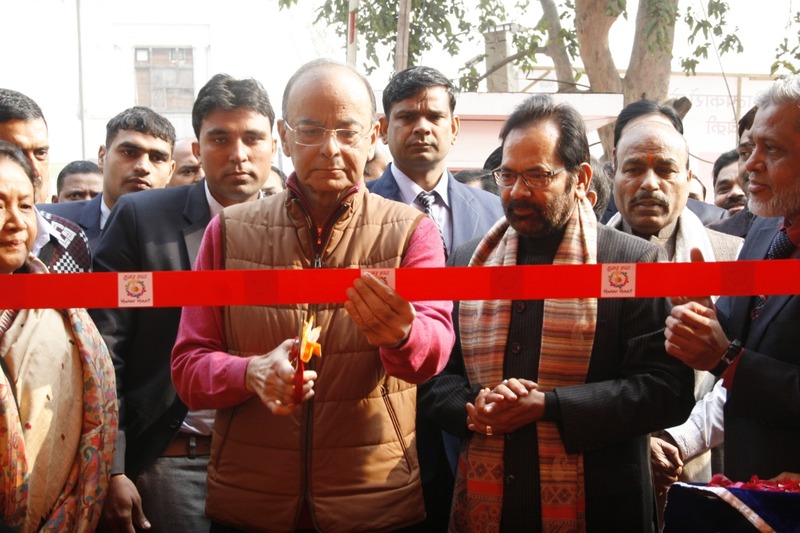 More than 5 lakh 43 thousand youths have been provided employment and employment opportunities through job-oriented skill development schemes such as Seekho aur Kamao, Usttad, Garib Nawaz Kaushal Vikas Yojana, Nai Manzil etc. 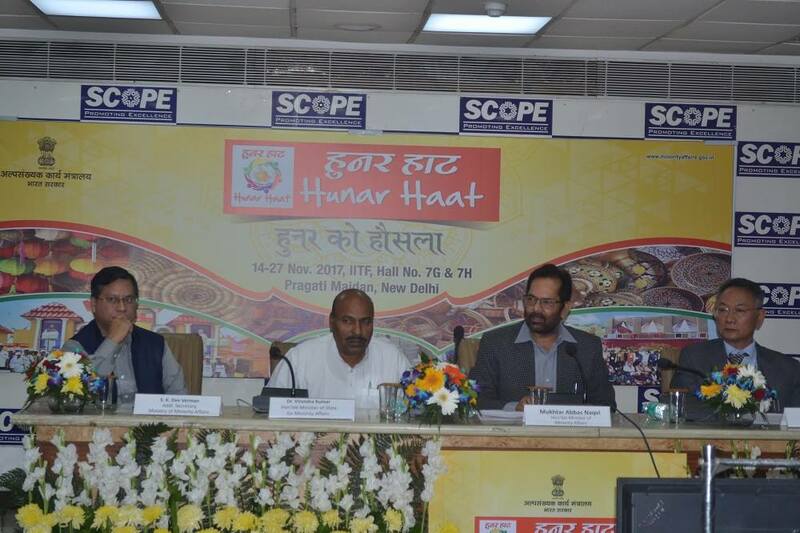 During the last 1 year, more than 1 lakh 18 thousand artisans have been provided employment and employment opportunities and national as well as international markets through “Hunar Haat”. 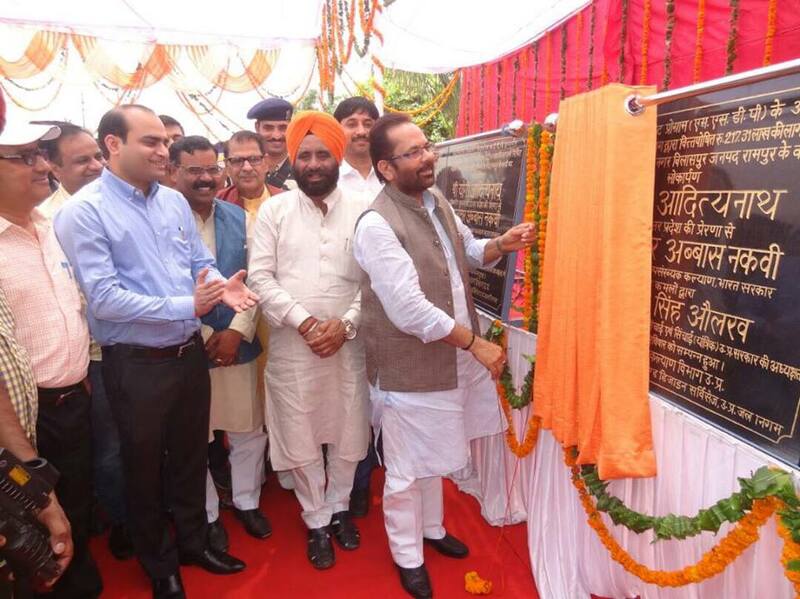 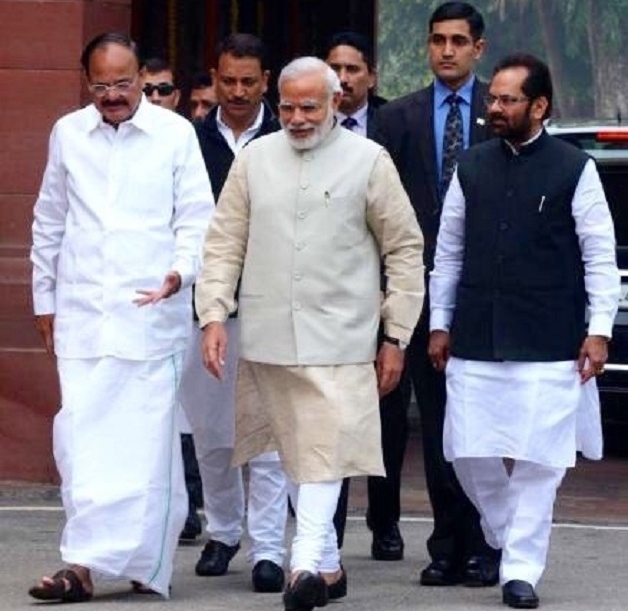 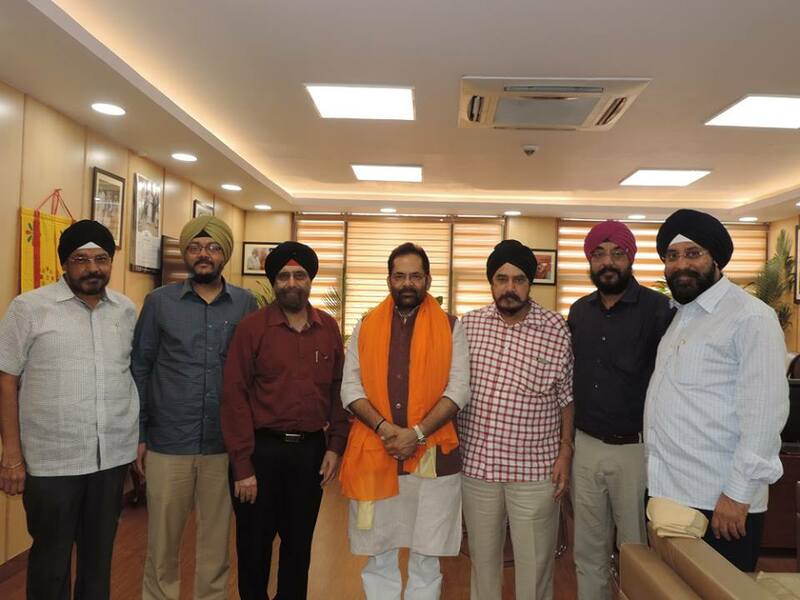 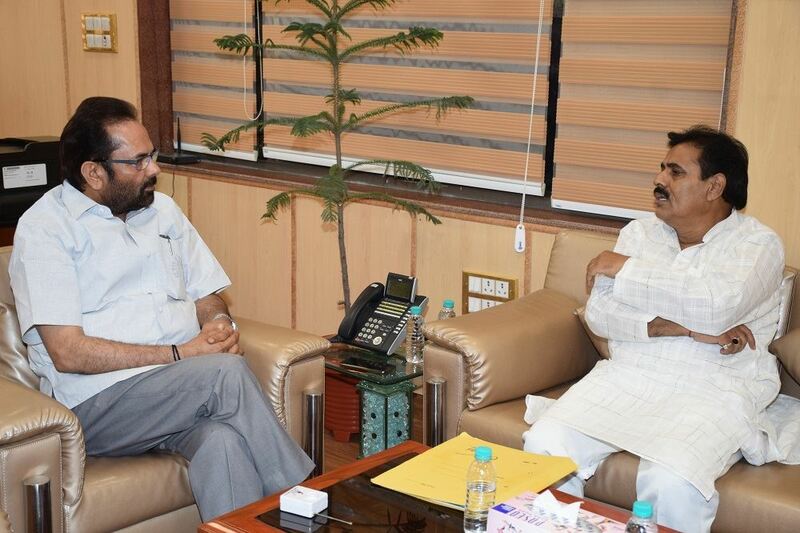 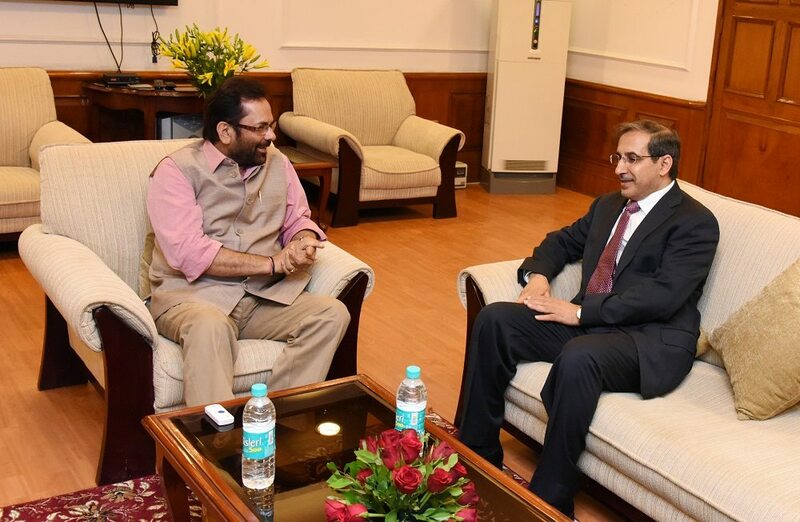 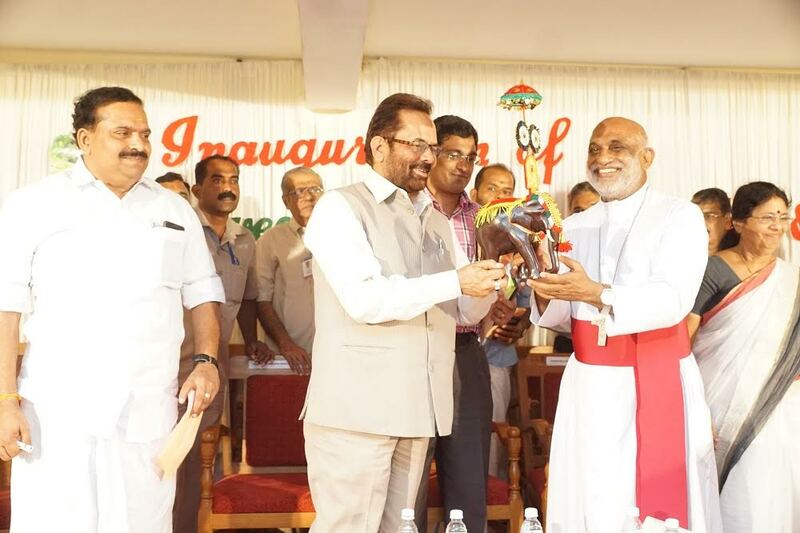 Shri Naqvi said that Prime Minister Shri Narendra Modi-led Government has expanded development programmes for Minorities in 308 districts of the country from just 100 districts earlier. 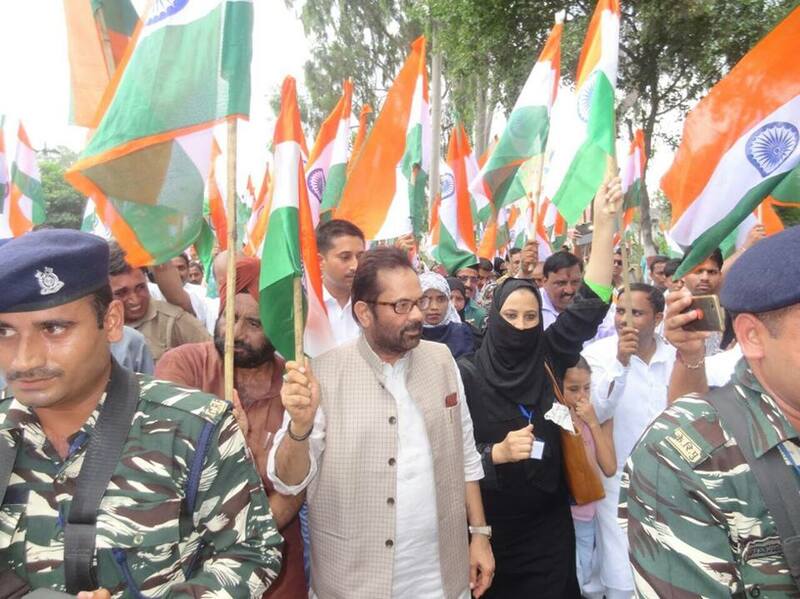 For the first time after the Independence, a campaign has been started on war-footing to provide basic amenities to ensure educational empowerment of girls belonging to Minority communities in 308 districts across the country. 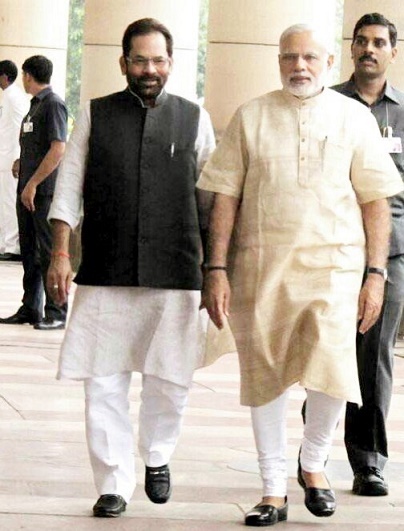 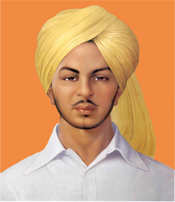 The Modi Government, keeping in mind the educational empowerment and employment oriented skill development of Minorities especially girls, is providing school, college, polytechnic, girls hostel, ITI, skill development centre etc under “Pradhanmantri Jan Vikas karykram” (PMJVK) in those “backward and ignored” areas which had been deprived of these facilities since the Independence.